If you're looking for breath-taking mountain views and the chance to breathe in fresh, alpine air, then there is, quite simply, nowhere in the world like the Alps. It goes without saying that this expansive mountain range is one of the top destinations in the world for skiing, thanks to the glittering blanket of snow which covers the region throughout the winter season. However, the Alps are also an ideal summer holiday location. When the snow and ice have melted away, they reveal in their place a green and rocky landscape which is filled with grazing cattle, wild animals, colourful flower-filled fields, and many spectacular views which have to be seen to be believed. The hardest part about a visit to the Alps is decided which region to choose. The L'Oisans region, home to popular resorts Les Deux Alps and Vaujany as well as France's stunning Écrins National Park, is great for spectacular hikes and mountain exhilaration. The untouched natural beauty of the Maurienne Valley, with the resorts of Saint Jean d'Arves, Saint Sorlin d'Arves and Valloire, is hard to beat. While the renowned and vast 3 Valleys, where you'll find La Tania, Meribel, Courchevel, and Val Thorens amongst others, is a great choice for extensive facilities, plenty of events, and more than a dash of tradition. Whichever you decide to visit, you can be guaranteed a picturesque setting and a real escape from the hustle of everyday life. A summer holiday in the French Alps is the perfect opportunity to relax, reconnect with nature and soak up the sun and fresh alpine air. 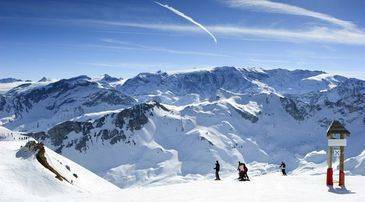 As the largest mountain range in Europe, many people associate the French Alps with skiing and snowboarding. However, there are plenty of exciting activities on offer all year round. The easiest, cheapest way to get to know the beautiful scenery of the region is to simply go for a walk. You will find no shortage of footpaths and hiking trails here, no matter which resort you decide to stay in. Meribel is well known for its many Nordic walking trails which start off at a very low degree of difficulty, making them perfect for children and older guests. Keen walkers should not miss out on the chance to walk the classic Mont Blanc trail. This iconic mountain has footpaths which lead from France all the way through to Switzerland and Italy. There are guided group tours available or you can simply take to the road yourself and enjoy the beautiful views along the way. Another great walking route in the French Alps is in the Portes du Soleil resort, which has stunning walks available right up to France's border with Switzerland. Cycling is the national sport of France and the Alps mountain range has some of the most incredible cycling opportunities in the country. Many of the resorts in the region have handy mountain bike lifts which operate throughout the summer, making access to the higher trails and paths extremely easy for cyclists. The Portes du Soleil is well known as being one of the finest cycling spots in Europe. Here, bikers can enjoy a varied selection of trails, ranging from steep and complex downhill journeys to gentle cross country paths. The resorts of Morzine and Les Gets are also popular with cyclists, thanks to the breath-taking rural scenery that they both have on offer. Mountain biking can be a challenging activity for children so for a more family friendly way to get around the Alps try horseback and donkey rides. Once the ice has thawed and the sun comes out to melt the mountain lakes and streams, the resorts of the French Alps become hugely popular with water sports enthusiasts. The River Dranse is one of the most beautiful spots in the Alps. Pay this crystal clear river a visit for some relaxing sightseeing or get stuck in to exhilarating activities such as white water rafting. The river boasts some of the most rapid and wild white waters in the Alps. Thrill seeking travellers can try rafting, canoeing, riding inflatable kayaks, and freefall swimming. Alternatively, try something slightly more leisurely such as fly fishing the River Dranse or fishing for trout in the lakes of Chamonix. From traditional Savoyard fondue, cheeseboards, and raclette, to pizza, pasta, and burger dinners, there are dining options suited to literally anyone and everyone in the French Alps. Breakfast in this beautiful region typically consists of pastries and coffee. Start your summer days in the traditional style by filling up on a typical French breakfast at a café such as rustic La Fernande in Les Orres or the cosy and affordable Black Side Café in Flaine. Lunch times are considered the main meal of the day in the French Alps and locals like to fill up on hearty dishes filled with bread and cheese. 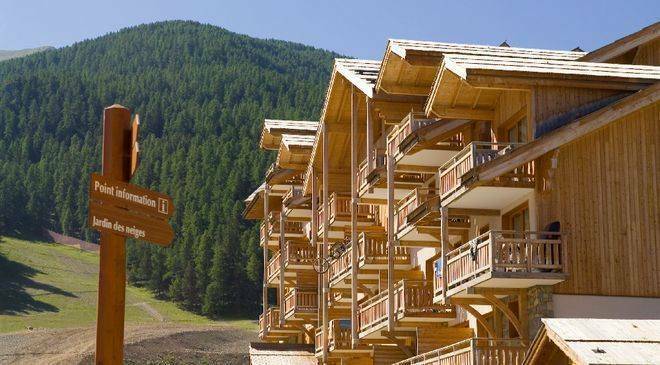 The picturesque resort of Saint Sorlin d'Arves has some great places to enjoy a traditional Savoyard baguette such as Le Cerf au Bois d'Argent and L'Arbate. These authentic eateries serve tasty local dishes which are ideal for refuelling between hikes. If you're travelling with fussy eaters then there are also plenty of international options in the Alps with restaurants which serve pizzas and sandwiches aplenty! The French Alps have a relaxed and atmospheric nightlife which lasts throughout the summer months. Meribel is known for being a great place to stay if you're looking for a party hotspot, as this resort town has some lively bars and a fun loving nightclub where guests can dance the night away until the early hours of the morning. Les Deux Alpes is another good choice as this scenic region is home to mountainside nightclubs, amusement arcades, 10 piano bars and a late night cinema. For something more low key the small town of Chamonix has many traditional French bars where guests can get a feel for the local way of socialising and partying. Most of the resorts in the French Alps offer lift passes throughout the summer which include summer ski passes if applicable, mountain bike passes, family passes, pedestrian passes and free passes for children under five and adults over 72. The prices vary between resorts but typically start off on one day passes at around Eu20 up to summer season passes which can cost anything up to Eu700. 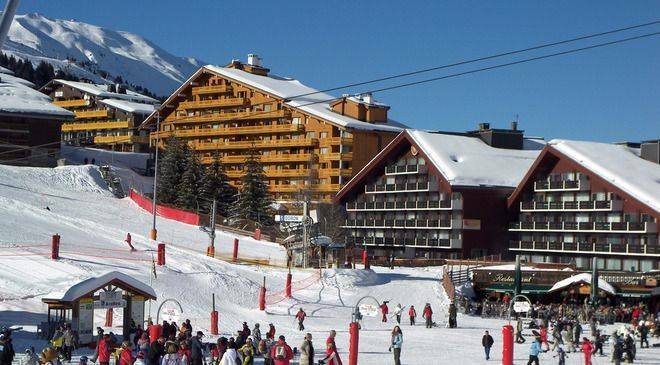 Madame Vacances can advise and offer discounts on lift passes when pre-booked. There are plenty of childcare facilities on offer at resorts throughout the Alps. Companies such as Snow Bugs, Snow Little, and t4 provide nanny and au pair services to your holiday accommodation all summer long. Most of these companies offer English speaking nannies, and there are also kids' clubs and nurseries in most resorts as well as holiday tutor services. Free parking can be found at many of the streets in the French alpine resorts. This is usually only available for a limited amount of time but paid for covered car parks can be found in resorts such as Flaine and Les Orres as well. All of the resorts have short stay off car parks for those need to unload luggage. Peaceful location in a hamlet just outside Meribel Les Allues, with unbeatable panoramic views. Located high in the resort with direct trade access. Wellness centre with sauna and hammam. Television and car parking available by reservation.